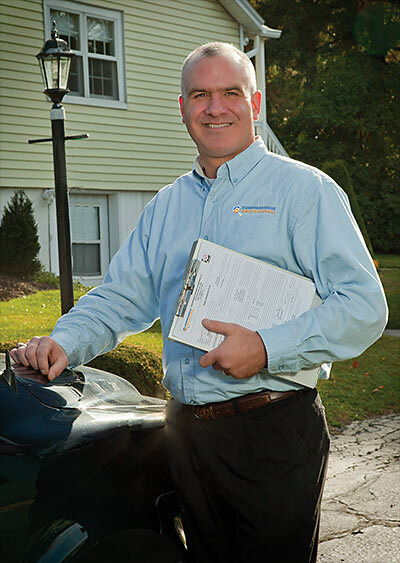 Why Choose me for Your Home Inspection? I'm here to serve you. It's my mission to provide you with the best service and information possible to enable you to make a smart decision on your investment. I work exclusively for you to provide an objective, un-biased report. I hold myself to a high standard of ethics, quality and professionalism. Working with Comprehensive Home Inspections means you get an educated and experienced home inspector at your disposal with exceptional, personal service. My education and experience have given me the tools to help you protect your greatest investment. Two degrees in construction technology and construction engineering brings technical know-how. Over 30 years in the construction industry, including 20 years as a Construction Engineer in the Army National Guard, brings experience and wisdom. For buyers, I'll help you to fully understand what you're purchasing. You'll get a clearer look at the good and the ugly, with a better idea of what to expect from the property in the near future. For sellers, I'll help you maximize your return and avoid any unpleasant surprises when you sell your home. Knowing of any issues before you enter negotiations can speed up the process and make the transaction better for everyone. Comprehensive Professional Inspections provides residential home inspections, commercial building inspections, radon testing, and termite inspection services in Scranton, Wilkes-Barre, Stroudsburg, Honesdale, Meshoppen, and surrounding areas. I've been trained by some of the best inspectors in the country, and carry the AHIT certification. AHIT is the largest home inspection training institute in North America, and is approved by ASHI, NAHI, NACHI, and other professional organizations. We're ready to put that experience and knowledge to work for you. I'm also a member of the American Society of Home Inspectors (ASHI), and adhere to their Standards of Practice and strict Code of Ethics. I conduct a thorough visual inspection of your home to give you a clear picture of exactly what it is you're buying. Armed with that information, you'll be able to make an informed decision and avoid any nasty surprises in the future. Below you'll find a general outline of what my home inspections include. For more detailed information, please visit my services Page. Check out my services for more detailed information on the different inspections I offer and what they cover.